Who is responsible for changing smoke alarm batteries? Your tenant has told you that they’ve removed the batteries from the smoke alarm in the hallway because the alarm kept giving false warnings. Are they legally within their rights? Should you have a smoke alarm in the kitchen? One for each bedroom, hallway and living area. You should also have one at the head of each stairway connecting levels in a multi-storey building. Tenants are responsible for replacing batteries. They are also responsible for cleaning and testing the alarms. Tenants cannot remove batteries unless they are replacing them. You may want to consider moving the smoke alarm, though, if there are a lot of false alarms. Alternatively, you could install a photoelectric smoke alarm, which should reduce the number of false warnings. 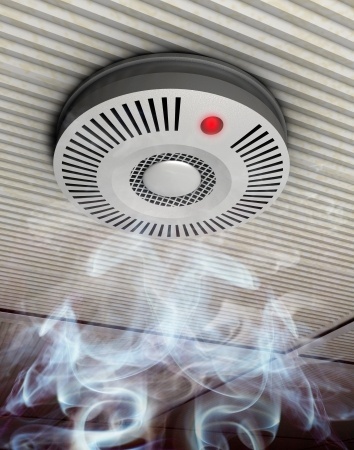 Smoke alarms in kitchens are prone to false alarms and, therefore, to tampering by tenants. Have a look at The what, why & how for smoke alarms in rental properties by www.realestate.com.au for more information.